Bamboo is the fastest growing plant in the world, stronger than steel, and its versatility allows it to be used in a myriad of things, such as pulp and paper, textiles and medicine. Bamboo forests grow in many areas around the world, one of which happens to be Ghana, Africa. While the country had little use for the plant in recent history, the market is beginning to change and Africa is now seeing an economic boom when it comes to bamboo cultivation. Many products are now being made from this resource, sometimes called ‘the wonder plant’. Booomers International is taking advantage of this once-neglected resource and creating manufacturing jobs at the same time. Booomers was founded in 2014 in the city of Jamasi, located approximately 270 km away from the capital city, Accra. 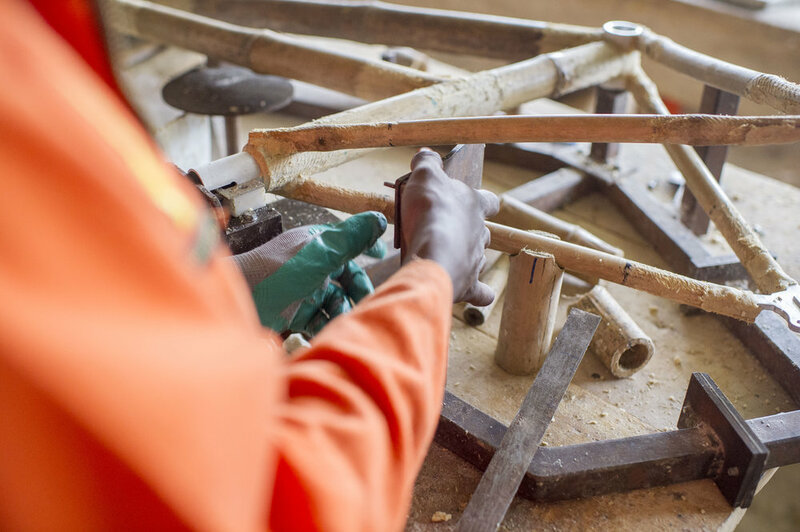 The organization, a subsidiary social enterprise operating under the umbrella of the Yonso Project, produces bicycle frames and accessories such as bike baskets, bike stands and children’s tricycles, all of which are made with different types of bamboo. The products are sold locally and internationally with the goal of relieving poverty rates in rural Ghanaian communities. The rural youth workers at the Booomers factory earn up to three times the average wage, receive health care benefits, daily lunch and transportation. Those interested in finishing high school or post-secondary education can also apply for a scholarship fund made available through the Yonso Project. "It was an opportunity for me to give back to my society [after] I had the opportunity to move up", said Kwabena Danso, founder and Chief Executive Officer of Booomers International and also the Executive Director of the Yonso Project. Danso's grandmother had worked as a farmer and with much effort and struggle, was able to pay Kwabena’s way through high school and also university. Danso was able to ultimately complete his M. B. A. degree in Finance. 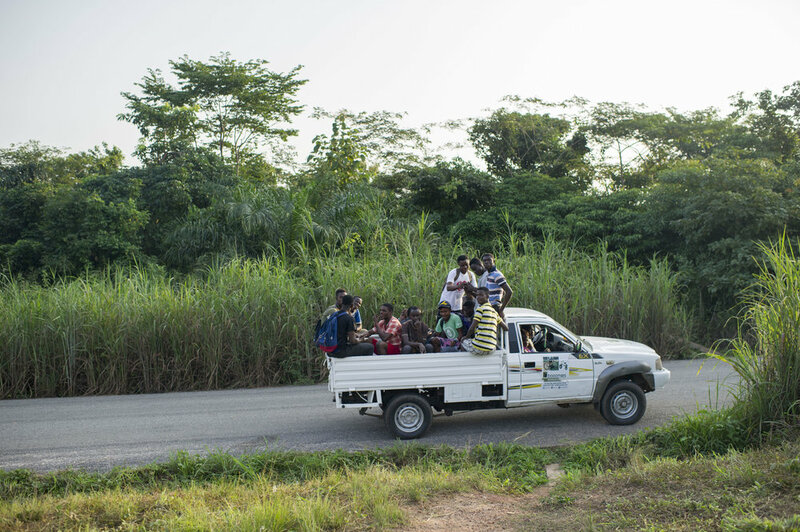 "This is a huge story for anyone, but in this part of Ghana, where there is little infrastructure, and extraordinary barriers to academic success, the fact that he overcame so many challenges to get where he is today is incredible," explained U.S.-based journalist Annalise Kaylor, who went to Ghana as a videographer for PWB. The company owns 50 acres of bamboo for their factory production of bamboo bikes, and also relies on 200 additional farmers participating in the Agro-forestry program, who manage another 200 hectares of bamboo. 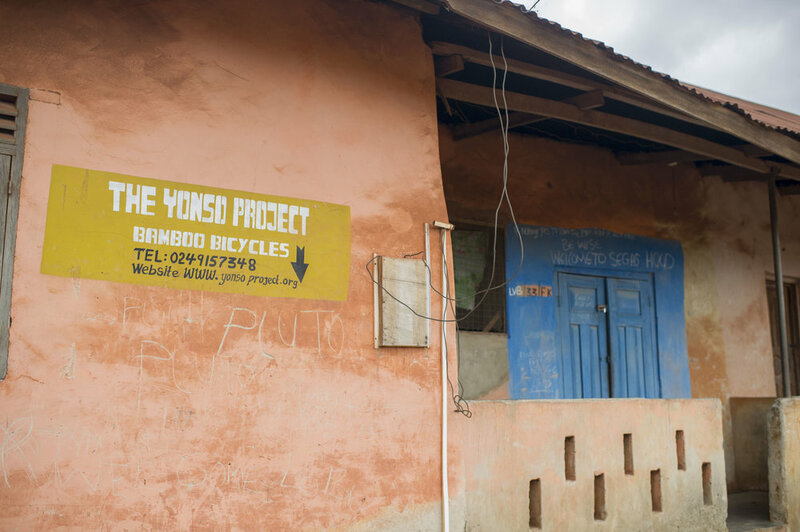 Not only does Booomers directly engage the local farmers and the 50 factory employees, but they also help 400 rural school children with scholarship support, and provide another 150 school girls with bikes so they can ride to school. Kaylor found the peculiarities of the bicycle manufacturing process particularly interesting. The videographer noted that unlike most mass production methods, the majority of the organization's building process is done by hand. "The bikes pass through dozens of workers’ hands before they are finished, and each job is crucial to the success of the business," she shared. "One of the things I loved most was that we rode in the back of the truck every day with all the workers. Sometimes there would be 20 of us in the back, and the workers would randomly break out into song, with clapping and whistling, and dancing. Every day it was something interesting and fun with them. I feel like I have a whole new family back in Ghana now. I’ve been to 15 countries and Ghana was hands-down the friendliest place I have ever visited," said Kaylor. Click here for more information on Booomers, and how you can support their work.